The drama CD will also be available on Steam next week. Please note that the Steam version is streaming video only and does not come with downloadable tracks or wallpapers, etc. Pre-order now to snag it for 10% off! 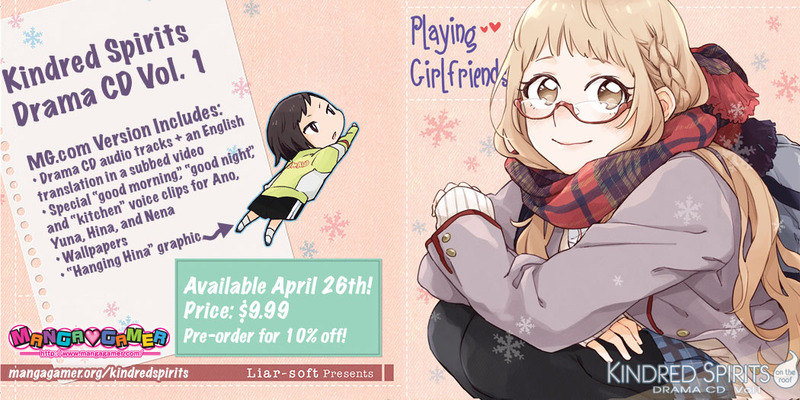 Or if you don’t have the game yet, you can pick it up with drama CD vol. 1 at a discount! If you know you’ll want all four drama CDs (and the OST included in Vol. 4) you can also pre-order the full-set bundle! New volumes will be added as they’re released! Tagged drama cd, kindred spirits, liarsoft, yuri. « An Introduction to Ozmafia! !